With her menstrual cycles fluctuating between profuse and no flow and hot flashes a regular occurrence, Linda was entering menopause. A determination to conceive naturally made her chances of pregnancy slim from a Western perspective. 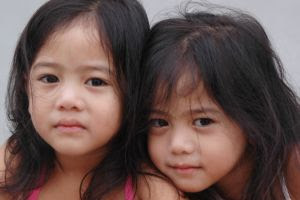 But after coming for her first treatment [with Dr. Wu] in February 1998, Linda conceived naturally and delivered healthy twins in January 1999. Yes, I wish it was me. block fallopian tubes, and fibroids. Doctor's told me that it want happen. Unless, we decide on invitro. Which, is very costly. However, we are still believing God.